I exchanged my early morning volunteer radio program to teach. My first class was Wednesday, January 16, during a mini snowstorm. 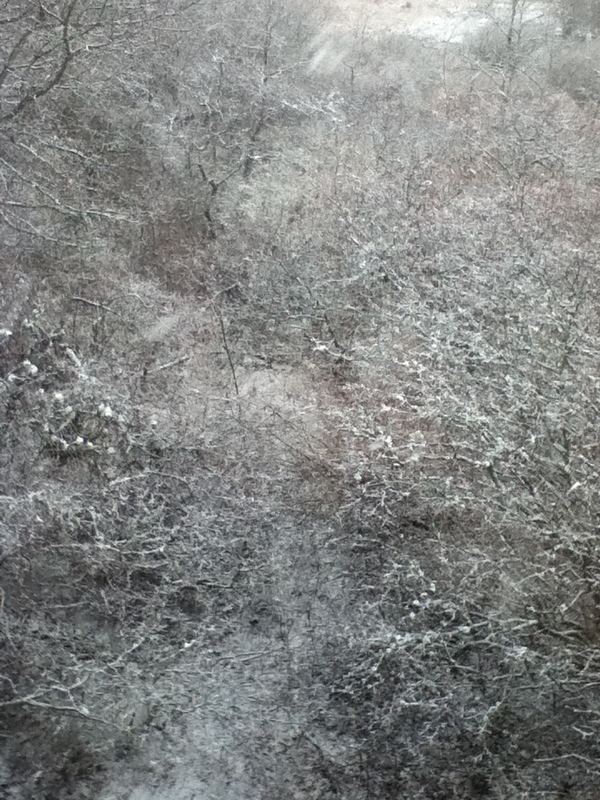 Friends drove me to class in a loaner Mercedes, as the trees alongside the highway were painted with white swirl. We found our way back on the main road after one exploratory exit that did not quite pan out, and made it on time. I fumbled quite a bit with the seatbelt release as snow fell all around, and my friends were in stitches with laughter. A flurry of hugs, and I hurried to collect the syllabus in one building, and raced to class in another. It is a gift and honor to teach again, to have conversation again on the subject of story. My friends picked me up, and after dinner, arrived back home eighteen hours later after we first set out. I was exhausted in the way my old college friend Sue once described exhaustion: a good hard-earned tiredness that came after a full day out teaching. She was describing the hard task of teaching secondary school. A few weeks later, another snowstorm. This one caught me unaware, and I drove inch by inch in wild snow last Monday night, trying to see as far as the headlights would allow, finding that if I turned on the high beam lights, the snowfall was much more terrifying to look at. E.L.Doctorow said we write in the dark, seeing only as much as headlights allow, slowly moving forward until we are home. A trip that would have taken an hour took me two, terrified of skidding, aware I was holding up traffic behind me, blasting my music to quell my fears, until an ambulance and pick up passed me, covering my window with sludge. How on earth had I not known an ambulance was behind me? On December 29 I had a similar experience driving through a snow squall on Cape Cod. I’ve been driving most of my 66 years, and that was the most terrifying hour ever. At the time I actually thought about calling 911 and asking to be rescued. Just thinking about it changes my body chemistry. Denya, I thought many times of stopping and calling you that night! Loved this piece (not just because we’re in it!). Robert and Iulia �are home! You must be very happy! Except of course, when I’m not.